The Ulster Youth Orchestra aims to develop young people through music by providing a creative, nurturing and inclusive environment in which talented, young musicians enhance their personal and musical development by receiving the highest standard of musical tuition, orchestral experience, and performance opportunities, thereby enriching the social and cultural life of Northern Ireland. 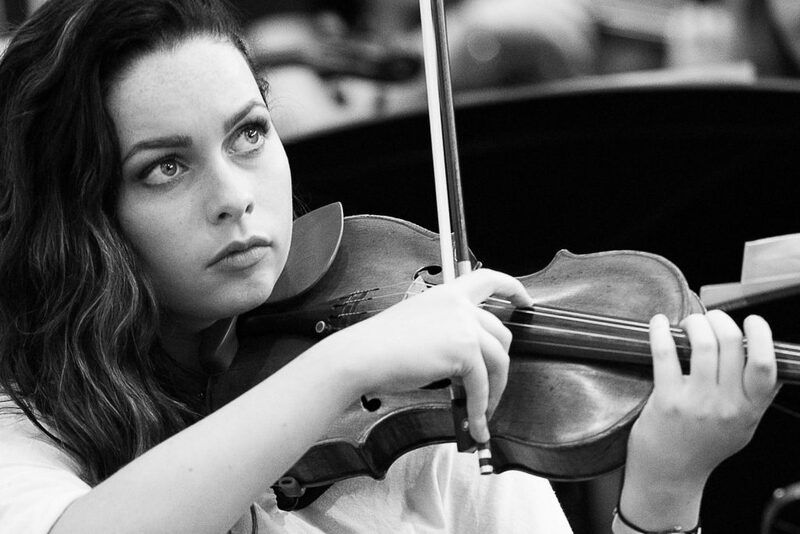 Now celebrated as one of the leading youth orchestras in the UK, the award-winning Ulster Youth Orchestra was initiated by the Arts Council of Northern Ireland in October 1993. Working in close association with the Education Authority, the organisation brings together the most talented young instrumentalists aged 14-23 from throughout Northern Ireland for residential courses and concerts, CD recordings, special projects, workshops and events. The Ulster Youth Orchestra provides the highest level of musical training from leading professional musicians and distinguished conductors. The Ulster Youth Orchestra is a cross-community organisation. Annual auditions ensure the young players are selected purely on the basis of musical ability regardless of religion or social background. The orchestra brings the remarkable chance for our best young musicians to take on an ambassadorial role for Northern Ireland in the national and international concert world. Since the first course in August 1994, the orchestra has involved approximately 2000 young musicians from all sections of the community and played to total audiences of over 15,000 in Northern Ireland, the Republic of Ireland, England, Scotland and Germany. Performances have been broadcast on BBC Radio Ulster, BBC Radio 3 and Classic FM. In 2000 it won the prestigious international arts award; the Premiale Imperial from the Japan Arts Association. To provide an environment in which talented, young musicians can further their musical potential and develop their personal and social skills. To enrich the social and cultural life of Northern Ireland. 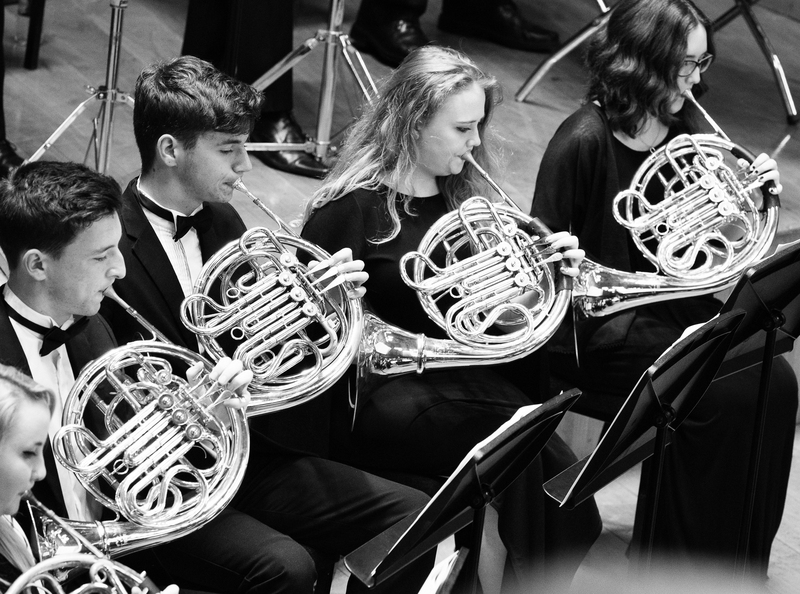 To provide consistently high standards of musical education by having leading conductors, performers and music teachers from around the world give musical tuition, conduct masterclasses and workshops, and guide and oversee the orchestral experience. To recruit the most talented, young musicians – whether or not they intend to pursue a career in music – and to ensure access for all by providing bursaries for those who lack the economic means to participate. To ensure that members are drawn from all the communities and cultural traditions in Northern Ireland, and to help this diverse group develop mutual understanding and friendships through working together and sharing learning experiences. To give members the opportunity to communicate their talents to the widest possible audience, acting as ambassadors for classical music within Ulster and beyond. To enrich the social and cultural life of Northern Ireland by giving young composers the opportunity to develop new work and have it publicly performed.